Whether you’re attending a wedding, are a conference guest, a group of friends or perhaps a couple escaping for a night away, be sure to take full advantage of our resort facilities during your stay with us at Castaways Resort. Situated on one of our highest peaks with stunning panoramic views, our onsite day spa Bersantai offers guests the opportunity to simply relax, de-stress and indulge. With a restorative range of treatments available including massages, facials, manicures, pedicures and unique outdoor stone bath experiences, let our team pamper you. If you feel like getting active, trying something new or simply want something fun to do, have a go at one of our adventures. Take aim with an archery or clay target shooting experience, or have a bit of fun with a round of frisbee golf. We recommend booking your activities at least one week in advance. Some activities are weather dependent. We have a variety of private venues available for hire. All venues feature our fabulous views and are ideal for weddings, conferences, meetings and private dining events. For more information about our private venue hire, including availability and pricing, contact us. Enjoy a drink and a meal at our onsite restaurant and bar, Castaways. 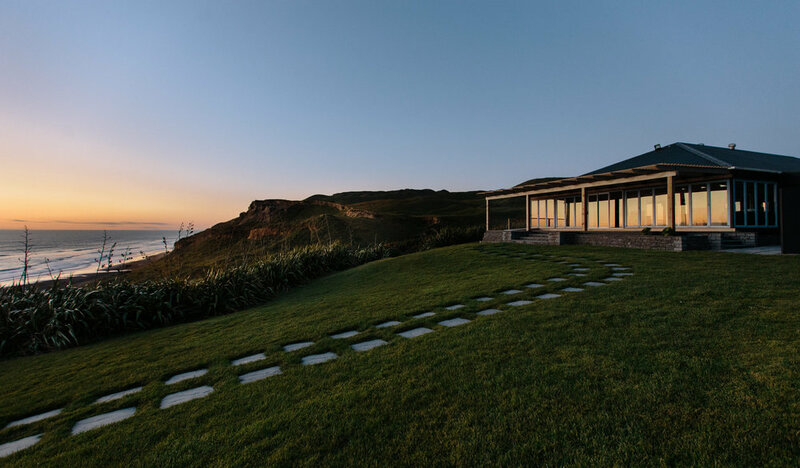 With impressive views over the Tasman Sea and a menu of modern, contemporary family friendly cuisine. This fifteen minute walk along the cliff tops, with magnificent views across the resort and Karioitahi beach, is a must do when visiting Castaways.